Your family’s gathered around the table. What’s on the menu? Cold stares? Stale prayers? The same old leftover questions about “what happened at school today”? Next time you sit down to eat, enjoy some spiritual food too! 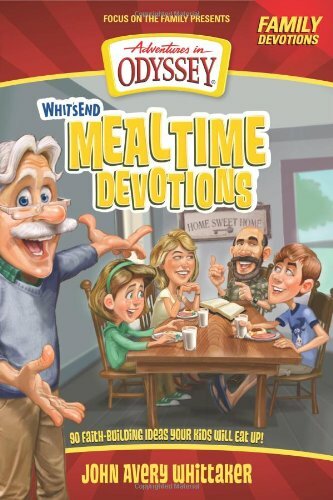 Get everyone talking—and learning—with the nourishment of Whit’s End Mealtime Devotions! Encourage quality family time and pass on a strong spiritual heritage with these 164 devotions created to engage children in fun, lively, productive dialogue.